Thom Conboy, President of the Americas for Ocean Independence has also been named the representative of Heesen Yachts in North America, Mexico, Bahamas and the Caribbean. As President of the Americas for Ocean Independence, Conboy's focus is on expanding Ocean's brand and business (yacht brokerage, charter, and management) in the Americas. He has separately been named the Director of Sales for Heesen Yachts in North America, Mexico, Bahamas and the Caribbean, in which capacity he will concentrate on securing new construction sales in these territories. While these two roles are completely independent of one another, they allow Conboy to represent two of the leading companies in the industry and bring his clients a full range of services regardless of their yachting interests, desires and needs. 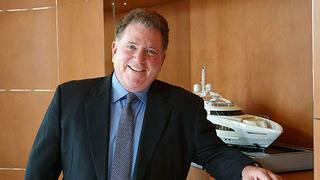 Having started his career in the marine industry in the Eighties Conboy has a diverse and comprehensive background. He has worked for both shipyards and brokerage houses giving him a wide range of knowledge of the sales process and yacht construction. Mark Cavendish, Director of Sales and Marketing at Heesen Yachts comments: "Thom Conboy has enjoyed much success with Heesen in the past and we hope to repeat this in the future." Managing Partner of Ocean Independence, Peter Hurzeler, remarks: "We were delighted when Thom and his team joined Ocean in February and are very pleased with the results we are seeing. We are most supportive of his separate, yet synergistic, role with Heesen Yachts and look forward to continued success in the Americas."